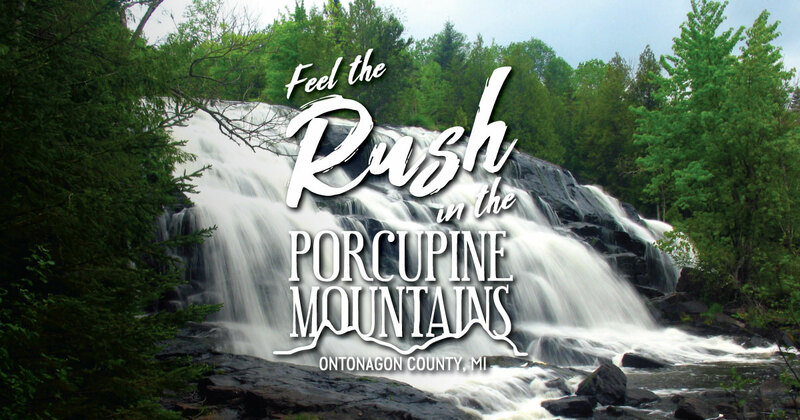 These breathtaking falls, located about an hour south of the Porcupine Mountains, have been featured in national advertising campaigns—and it’s easy to see why. Located on the middle branch of the Ontonagon River, Bond Falls has a drop of about fifty feet over a wide belt of fractured rock, creating several small cascades. The scenic area is open all year long, but prime viewing is in spring and fall. An accessible boardwalk provides easy viewing, and roadside parking and picnic facilities are available. Take Highway 45 south through Bruce Crossing to Bond Falls Road.